Valdean (Val) Mosier was born in 1937 and grew up on a farm in south central Nebraska. He graduated from High School in 1954, spent several years in the US Navy (trained as an electrician and nuclear reactor operator). He graduated from Kansas State University in 1969 with a degree in Electrical Engineering. Following college, Val accepted a job with the General Electric Company in Niskayuna, NY where after 25 years working in a variety of engineering and management positions he retired in 1993. 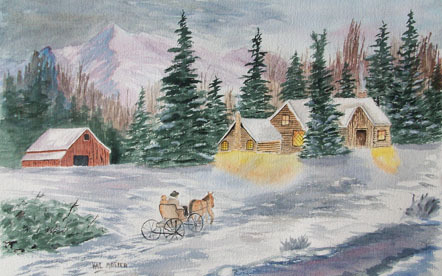 After retiring, Val joined a water color class for beginners, taught by Pat Parker. Other than that class and attending several workshops over the years, Val is a self taught artist; learning by doing and reading books and magazines and watching other artists. 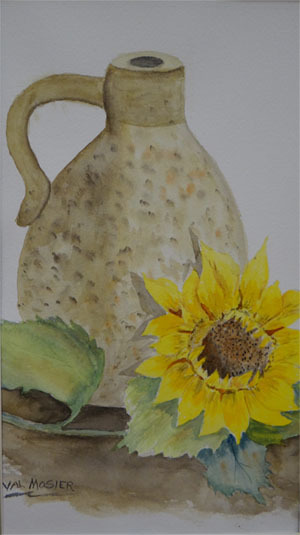 Although he has painted in most mediums, he does most of his painting in watercolor. 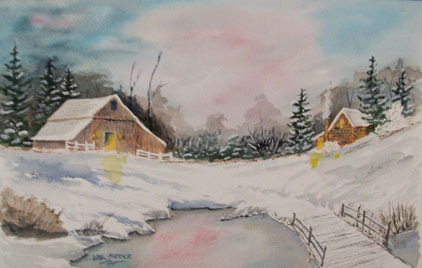 Val likes doing landscapes best but does paint a variety of subjects; see portfolio. He shows his work in local libraries, banks, community centers etc. 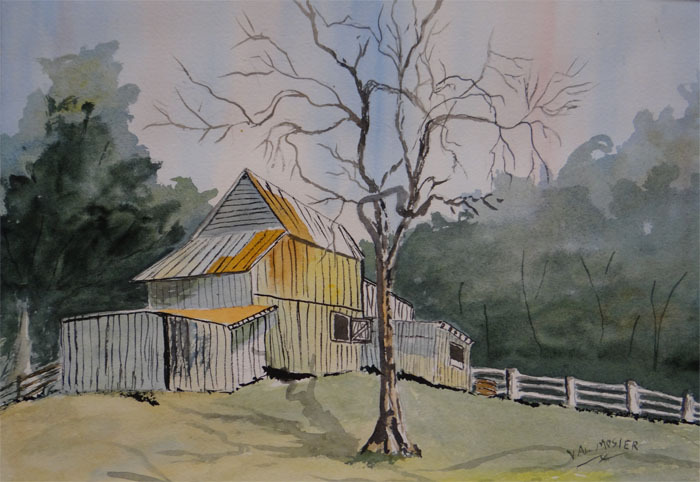 Val is a member of the Southern Saratoga Artist Society and lives with his wife Marie in Burnt Hills, NY.